Located in the beautiful Crescent Beach section of North Myrtle Beach, SC, along the Grand Strand, Crescent Sands provides 2 and 3 bedroom condos for individuals and families wanting to experience the best of the Myrtle Beach area. Each condo has a sliding door from the master bedroom and living room that leads out to a large balcony and an oceanfront view. Sit and relax watching the waves of the ocean while you put your feet up and take advantage of our free wireless internet or go downstairs and enjoy our large oceanfront outdoor pool. 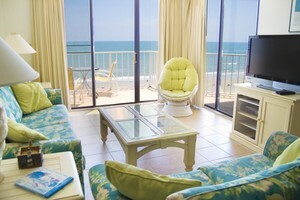 The kids will also love having the ocean right outside! The accommodations sleep anywhere from 6-8 people with full kitchens, washer and dryer, dishwasher, and free wireless internet available throughout. 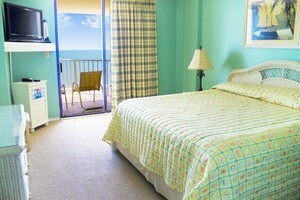 Crescent Sands Resort is a quick walk or drive to area attractions including restaurants , golf, and more! Contact us for more information on how we can make your vacation a relaxing home away from home with all the fun of being near the ocean and the Grand Strand!